It's officially Lord Vharys now. As always Bioware is an impressive story teller. One of my favorite things about SWTOR is that you feel like the things you're doing are important and epic right from the beginning thanks to the emphasis on story. I've never felt like all the questing I'm doing is just to get to endgame, although I have been clipping along at a really nice pace. I'm also eager to fund some companion gifts for my lesser used companions to start progressing their personal quests. I find them all interesting as characters. My warzone experience has suffered as of late. Not only has my own performance been lackluster but most of the groups I get thrown in seem to ignore objectives and just skirmish constantly, leading to frequent losses. I still enjoy the mechanics of SWTOR PVP, but I'm thinking it won't really shine until I'm max level and running with guild groups. 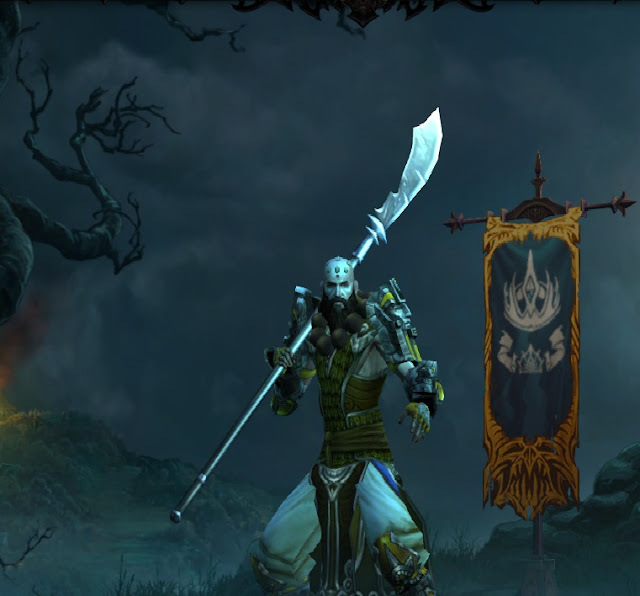 I spent a little time with Diablo 3 this past week and finally got my first character, Monk, to 60, unlocking inferno difficulty in the process. I think the entire problem with this game has been the loot formula and the auction house, something that loot 2.0 and the expansion, Reaper of Souls, aim to fix directly. I'm optimistic about the game's future, and regardless, I'm sure I'll pick up the expansion just to play through the campaign even if the game isn't able to hook me for hours and hours like its predecessor. Alas, my infatuation with SWTOR has left little time for Final Fantasy XIV. My guild group is trucking right along, I even got watch a stream of one of my guildies tackling the Ifrit hardmode fight which was really entertaining. I'm looking at probably going thaumaturge/blackmage instead of summoner at this point because I'm really not enamored with the pet mechanics.